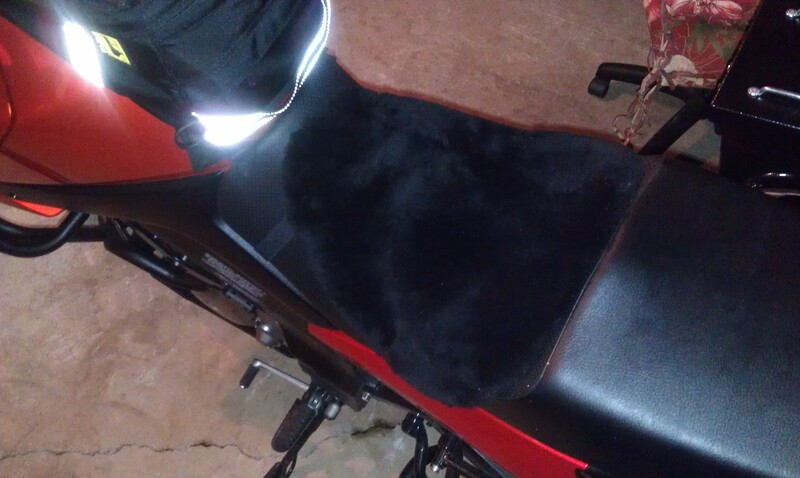 Well I finally did it…ordered my very own Alaska Leather deluxe, sheepskin buttpad for the V-Strom. Decided on the medium size in black with a nose strap – came in the mail late yesterday and haven’t had a chance to get out on the bike. Alaska Leather has been the home of the sheepskin buttpad since 1979! This entry was posted in Motorcycle & Equipment and tagged Alaska Leather, Buttpad by rallyaroundtheworld. Bookmark the permalink.